I have helped my dad finish basements in the past, but this is the first one I have done on my own, so I have definitely made some mistakes and rookie goofs along the way. Now that I have my workout room completed, I have added a few pieces of equipment and artwork (posters and photos) to the wall to decorate a bit. Make sure to continue to the bottom of the page where I will have the cost summary. Early in 2013, prior to framing, I finally purchased my squat rack. One of the most popular questions I receive from people is what squat rack I purchased and where I got my weight plates from. As I said, make sure to continue to the bottom of the page to see my cost summary as well as links to where I purchased some of my equipment. A picture I snapped early 2013 after I purchased an assembled my squat rack. This gives you a basic idea of my basement. Framing started during the Summer of 2013. Almost completed here. After the framing was completed, I hired an electrician to come in and complete all of the electrical work. I then installed the pot lights. Once the electrical was completed, it was time to start drywalling. I drywalled my entire basement on my own, so I had to improvise and build some 'T's to help with the ceiling. After the drywalling was completed, it was time to get rid of the carpet flooring which provided absolutely zero cushioning. 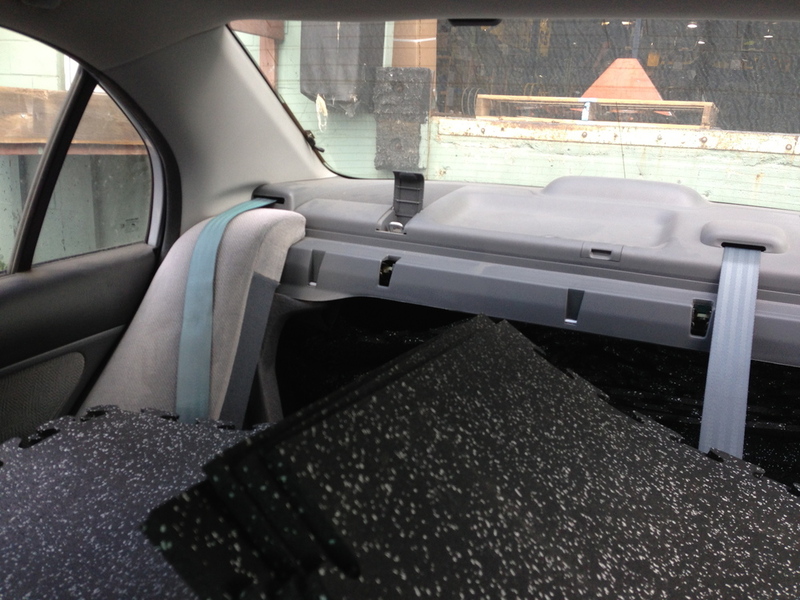 I managed to load all of the flooring tiles into the back of my Honda Civic. The seat had to be folded down, but I managed to fit all of the tiles in! Purchased and set up a new 30" flat screen. I would call this the "plateau point" of my workout room. It stayed like this for several months while I tackled some other projects, like mudding and sanding other parts of my basement. 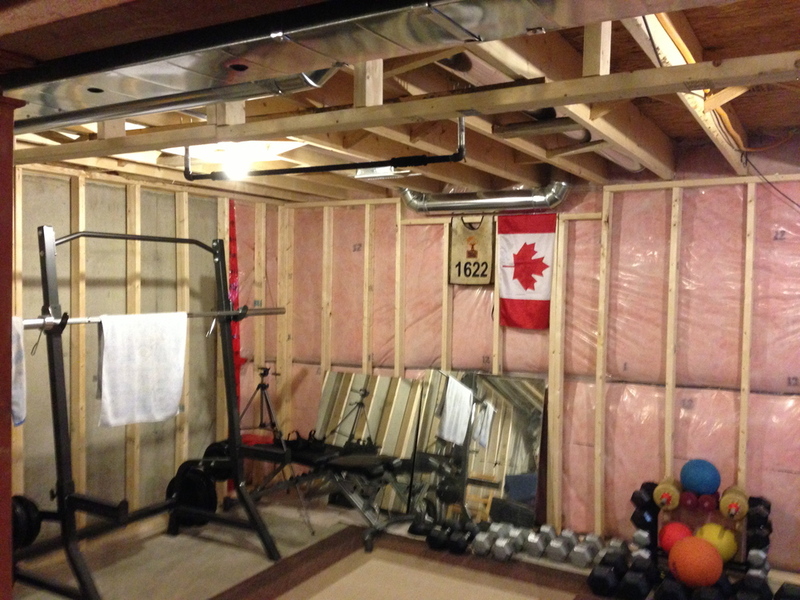 Finally, in early 2014, I got back to work on the workout room. These next few photos are after the mudding and sanding is completed. After mudding was done, it was time to paint. These next few photos show the finished product after completing the walls, ceiling, and even black floor paint for under the rubber tiles. Finished! Baseboards installed and painted. Window frame finished and completed. Dumbbell rack assembled and in place. 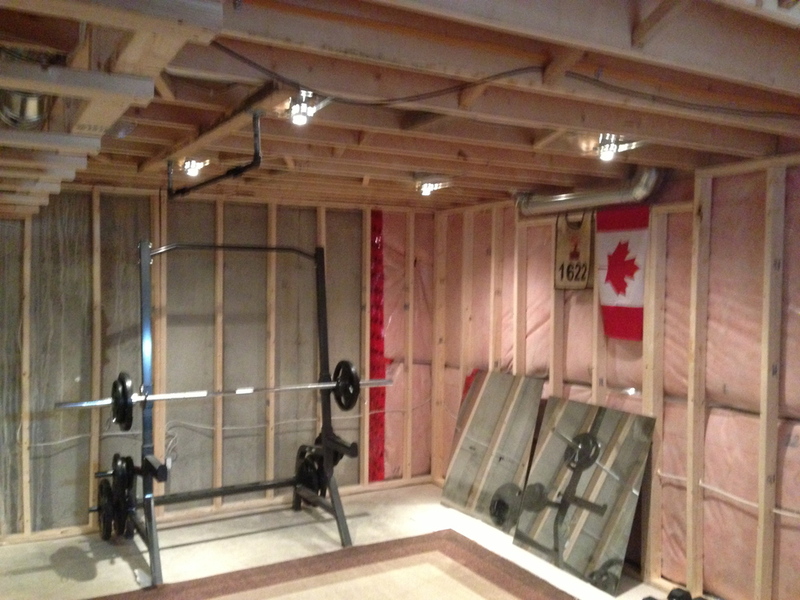 Home Gym: approximately 268 sq. ft.
All prices are listed in Canadian Dollars (unless otherwise stated) prior to sales tax. Some prices are approximate based on my own memory. Some of you reading this may think to yourself, "Wow, that is much more money than I wishing to spend on my home gym!" You're right, because I thought of my home gym as an incredible expense when I first started as well. On the other hand, if you approach building your own home gym in a couple of different ways, then it makes things seem much more attainable. First of all, just like leading a healthy lifestyle and exercising, if you have weight to lose, don't think you are going to drop 50 pounds over night. Instead, start by making baby steps and making small changes every day so that your progress will accumulate over time. I first started building my home gym over 6 years ago, before I even purchased P90X. As the days, months, and years have passed, I have slowly accumulated my equipment from a variety of sources. 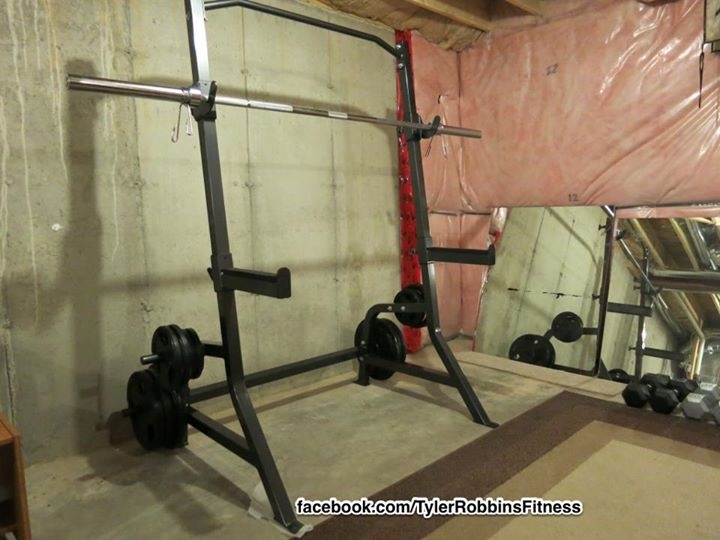 Secondly, I always view any purchase I make for my home gym as an investment. I purchase items to make an investment in my (and my family's) long-term health. By having this exercise equipment, not only can myself and my wife use these tools to get in shape and stay active, but when my sons grow up and wish to get into exercise and fitness, then the tools will be available for them as well. Check out a home workout cost analysis done by a Coach on my team. On a similar note, the money and time I have invested in finishing my basement has been more of a monetary investment as it has increased the value of my home. I deliberately finished my basement with a useable living space in mind. This way, when we eventually sell this home, although I will be taking all of my fitness gear and rubber flooring with us, the next owners will have this great living space to turn into a home gym or a TV room, etc. for their own needs. I will point out that I have invested a lot of time and effort into my Beachbody Coaching business. A lot of the purchases/investments I have made into my home gym (especially within the past year) have been possible due to the extra income that I have been earning through sources directly and indirectly related to my Coaching business. I have always loved helping others with their health and fitness goals, so it is nice to be able to get rewarded in return for the time and effort I have put into helping others.